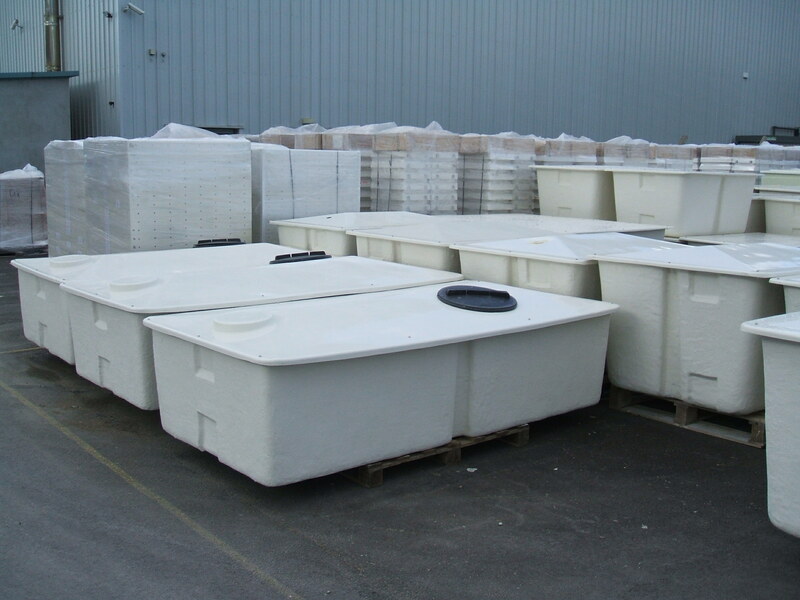 Water storage tanks manufactured by Glass reinforced plastic (GRP) are the ideal solution for storing water. Benefits include, cost effective, low maintenance, easily transported, and the sheer durability of GRP Material. 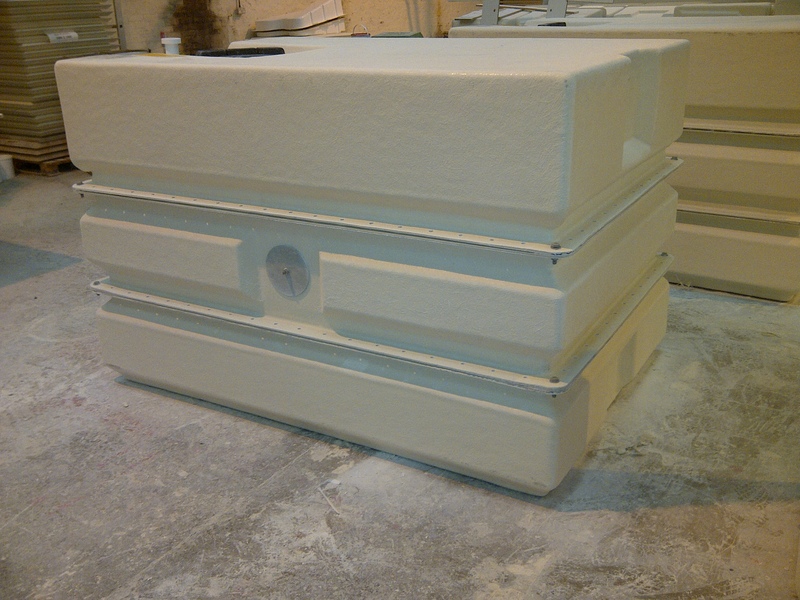 Manufacturing for over 50 years, we are experts in the industry of GRP tank manufacturing and custom moulding. Request Your Project Quote Today! 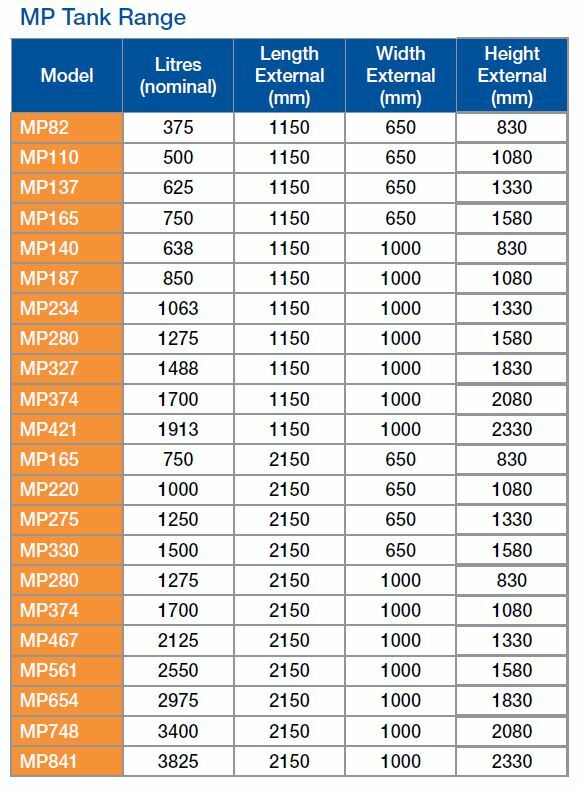 The MP range of one piece tanks was created to keep carriage costs to a minimum. 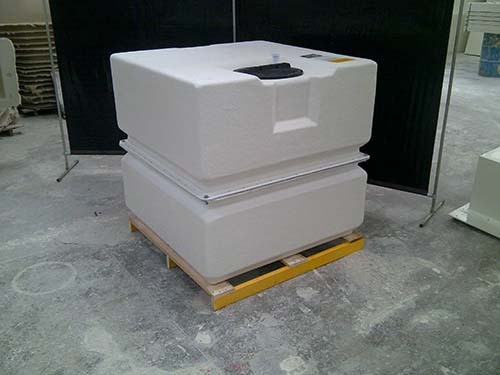 Dimensions have been carefully planned so that no tank takes up more than two pallet-spaces. This also means they have a smaller footprint which is ideal for areas of restricted space. These are an ideal solution where access is restricted to a standard doorway and are easily and quickly assembled by site operatives. The single horizontal joint seal is compressed by bolting through the predrilled flanges and connections are made via the preformed recesses in the encapsulated insulation. 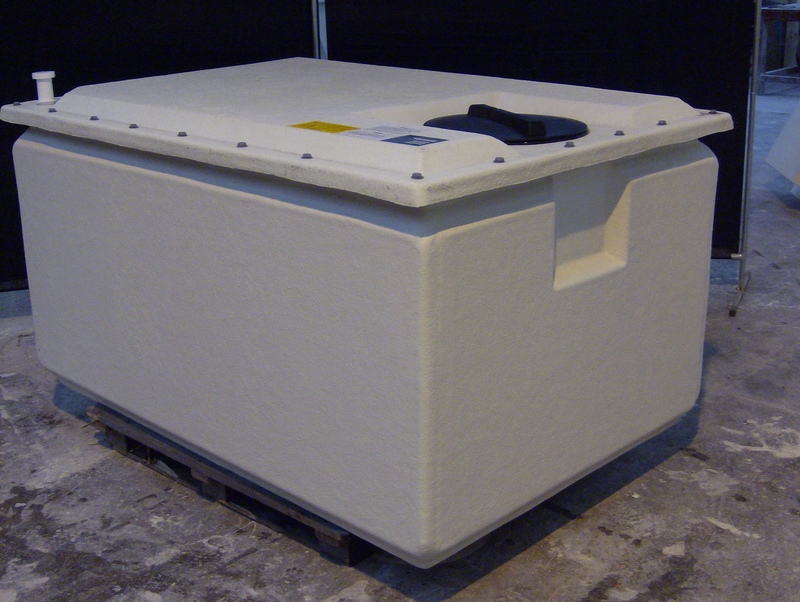 As with all our hand layup tanks, these are carefully manufactured using WRAS approved materials and are completely suitable for use with potable water. 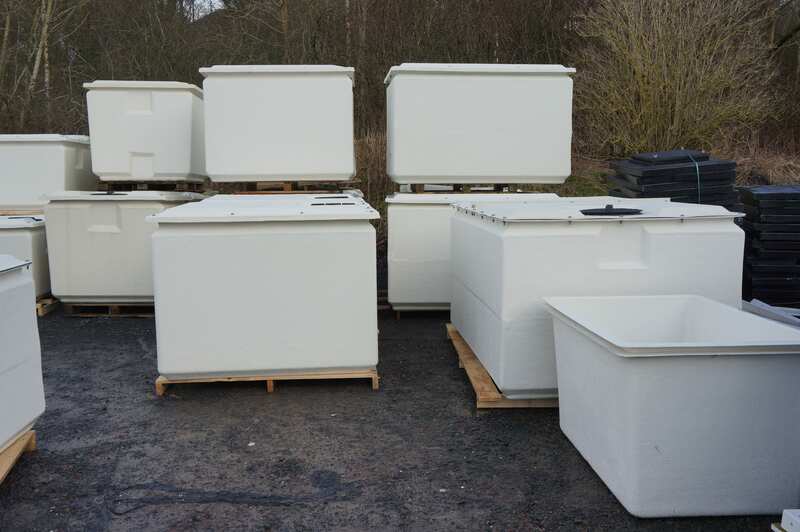 Standard two-part tanks are available from 910 litres to 5690 litres nominal and non-standard sizes can be made to order. 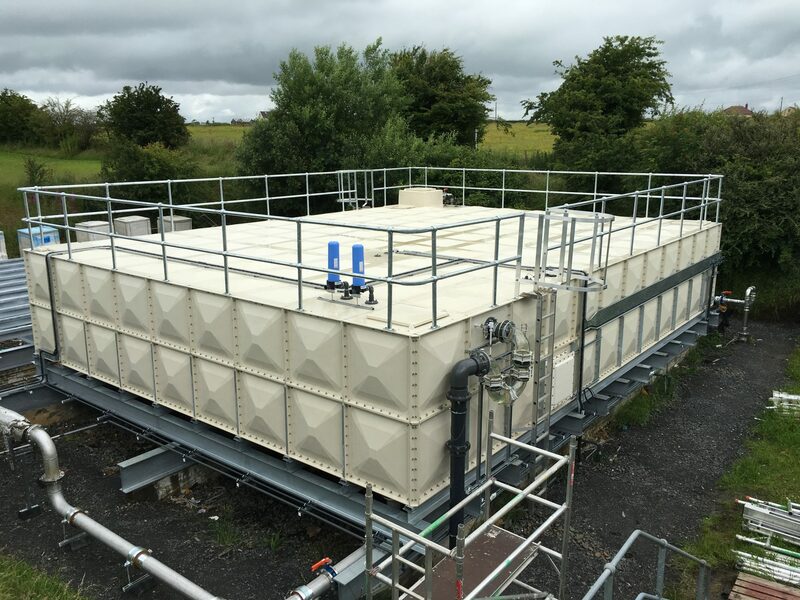 Our sectional water storage tanks hold up to 1,300,000 litres of water. For all volumes, greater than 1,300,000 litre, these can be designed and manufactured don’t hesitate to get in touch with our sales team who will provide you with a quote. 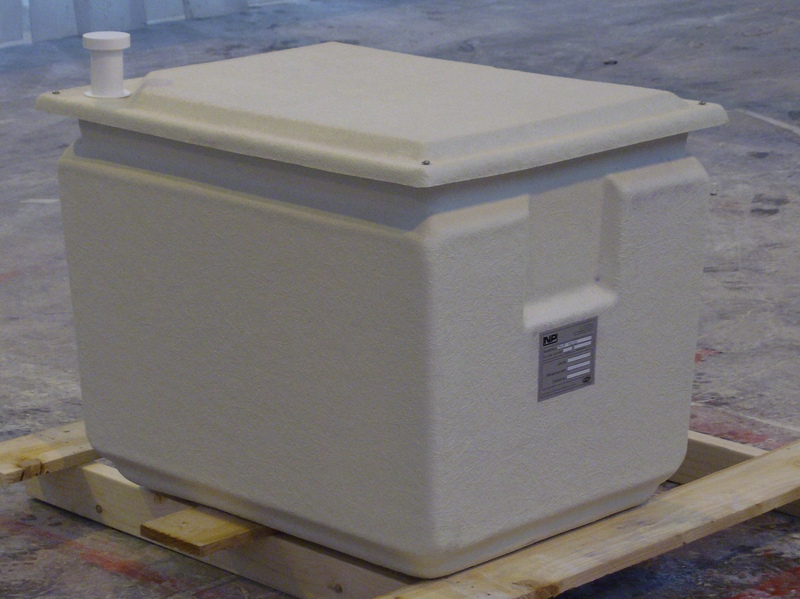 All Nicholson Plastics Water Tanks are manufactured to BS EN 13280 and available insulated or un-insulated. 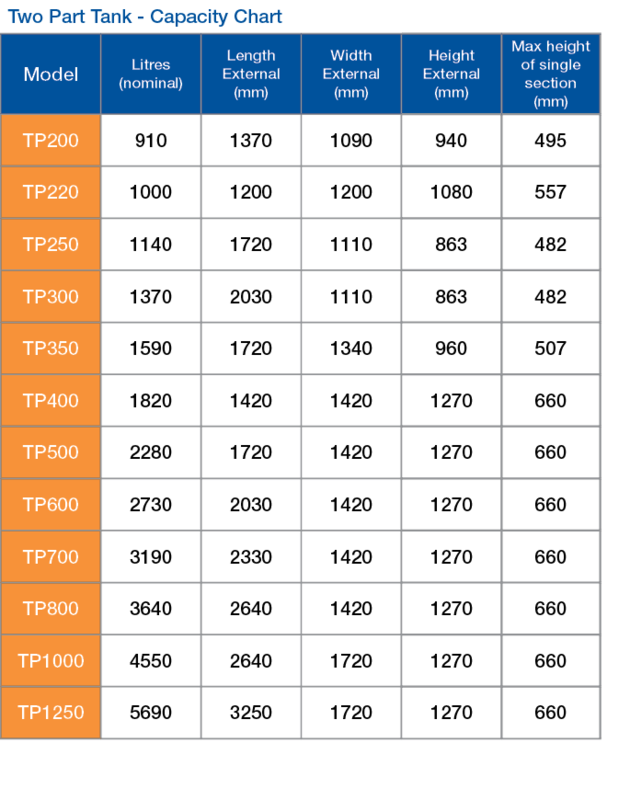 We provide a full list of ancillary items for all tanks, for more information on technical drawing, manuals, certifications, brochures etc visit our downloads section. Request Your Custom Project Quote! GET YOUR NUMBERS RIGHT! - TRY OUR FREE TANK SIZE CALCULATOR!